Hawthorn trees are deciduous trees native to Europe, North Africa and Western Asia. They are a small tree, with most varieties reaching only about 30 with a spread of 25-30 feet, although they can live upwards of 400 years. Hawthorns are known for their beautiful flowers in the spring, their red berries in the fall and the large thorns on their branches. Choose a variety of hawthorn to plant. There are nearly 1,000 different types of hawthorn suited to a vast range of climates. Choose one that suits your climate. Indian hawthorn is good for hot climates since it is hardy only to zone 7. Russian hawthorn is better for cold climates with hardiness to zone 4. Choose a spot in your yard to plant the hawthorn. Hawthorns like full sun, but they can handle partial shade if they must. Hawthorns can handle a variety of soil types as well, as long as the soil is well drained. Plant your hawthorn in the early spring. Dig a hole for your hawthorn. Make sure the hole is deeper and wider than the root ball--about 3 feet deep and 3 feet in diameter. Place the root ball in the hole and water. Allow the water to sink in. Fill the hole with soil and pat down firmly. Water again for 5-10 minutes. 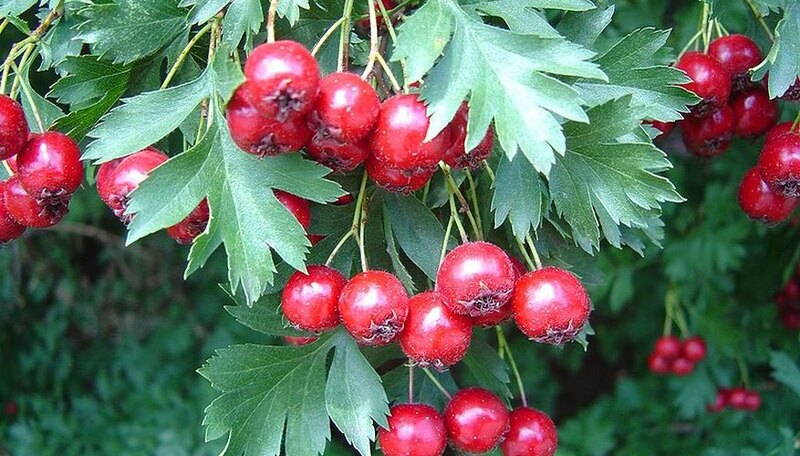 Fertilize your hawthorn every spring with 1 cup of a water-soluble mixture of 10-10-10. Prune your hawthorn in the spring before it sprouts new leaves. Remove any dead or damaged branches at the base. Trim back any overreaching or low-hanging branches. Allow the hawthorn to keep most of its spread as it looks best this way. Water your hawthorn weekly for 10 minutes each watering in the spring and summer. Water it less (about once a month) in the fall and winter. If you live in a hot area choose a hawthorn that is drought-resistant, to save water. Hawthorns are susceptible to leaf spot, which can be cleared up with a fungicide.